Sign Company San Luis Obispo: Welcome To the Well Seen Signs Blog! Welcome To the Well Seen Signs Blog! 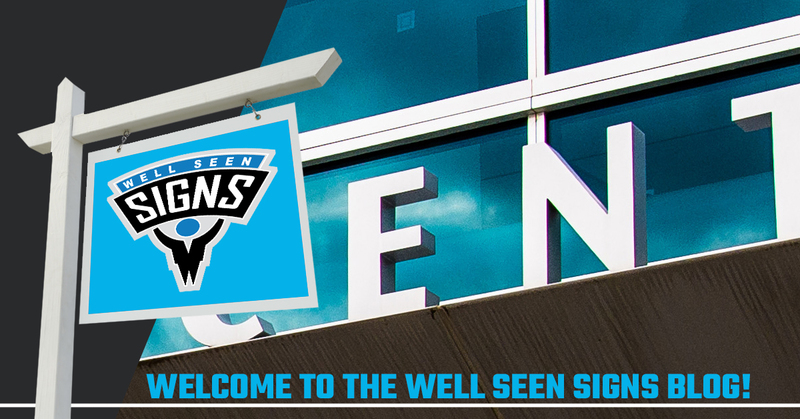 Welcome to the Well Seen Signs blog! Here, we’ll share entertaining and insightful articles, useful tricks and tips to help you choose the right sign, and so much more! As a Top Rated Local® sign company based out of Atascadero, California, we proudly serve the communities in San Luis Obispo County and beyond. We’re a local, family-owned and operated, custom sign shop offering a wide range of services to cater to all your sign needs. From customs sign design and installation to window graphics, monument signs, outdoor signs, building graphics, and banners, we do it all. Today, we will look at some of the top reasons to choose us as your favorite sign company. 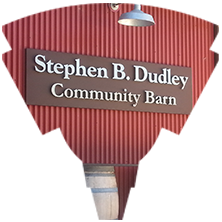 We’ll explore some of the many excellent services we offer that set us apart from other sign companies in San Luis Obispo County and the Central Coast. 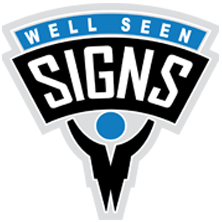 If you’re ready to get started on your next sign project, contact the friendly and experienced team at Well Seen Signs. Why Choose Us As Your Sign Company? When you start a sign project, you want to feel confident that you’ll get a custom sign that best represents your brand and fits your specific needs. We’re committed to customer satisfaction in everything we do, which is just one reason why you should choose us. Here are a few more reasons why you should choose our sign shop for your next sign project. 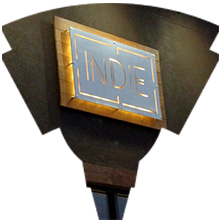 When it comes to experience, our entire team has had extensive training and decades of experience designing and installing a wide range of interior and exterior signage. As a local, family-owned sign company with more than 20 years under our belt, we have been working with businesses and individuals in our community for years. In that time, we have built lasting relationships and fine-tuned our craft. We have also developed a name for ourselves as a reputable, reliable, honest sign company that always has our clients’ success and best interests in mind. That’s why we’re recognized as a Top Rated Local® sign company in the region. When you need a sign for your business, event, or organization, there is no sign project that is too small or too large for our team. We employee designers who specialize in graphic design and creating gorgeous signs that perfectly meet your needs and surpass your expectations. Part of our commitment to customer satisfaction rests on stellar designs and the highest quality work. Whether you need a simple sign that says “Open” or an intricate monument sign or vehicle wrap that requires a keen attention to detail and precision, you can count on Well Seen Signs every time. Along with designing attractive signage, we can install any sign. Our team has more than 20 years of experience in sign design, fabrication, construction, and installation. If there’s ever a sign that requires a more specialized installation, we partner with other local businesses to ensure your sign is installed properly and securely. We’re committed to convenience. We understand that it can take time to get the right permits to install and display a variety of signs — time that you can use to focus on growing your business, spending time with family, and doing the things you love. That’s why we’ll help you obtain the proper sign permits from the local government that we have worked closely with for years. Along with securing permits for you, we’re familiar with signage guidelines and will design your sign with these in mind. We strictly adhere to all local ordinances and licensing requirements so there’s no having to go back and redo your sign. Ready to Start a Sign Project? When you’re ready to start a sign project, you know who to call — the sign company that will strive to exceed your expectations every time. Contact Well Seen Signs to get started on your next custom sign and find out for yourself why we’re a Top Rated Local® sign company in San Luis Obispo and all the California’s Central Coast. We look forward to working with you! Like this blog? Be sure to follow our blog to access great content just like this on a regular basis! Tune in next time to learn more about our signage company!